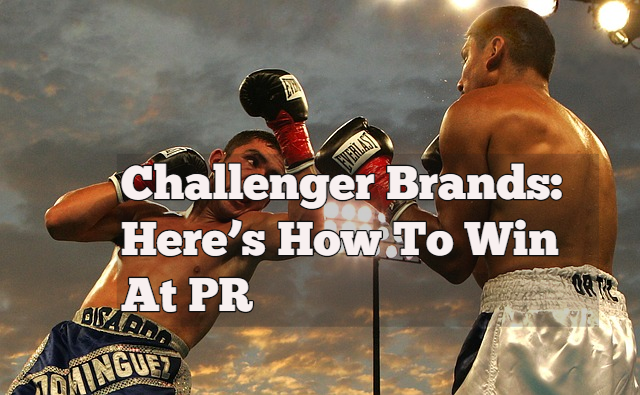 Regardless of the industry, a challenger brand can have a natural PR advantage. Challenger brands can shake things up through unique points of view, innovation or a better story. Media like underdogs, whether they’re Casper challenging the mattress industry, TikTok going after Facebook or the Dollar Shave Club taking on Gillette. But many brands don’t have Casper’s $240 million venture funding. And to raise visibility with press, it’s not enough to simply be a successful challenger. Your brand needs to do more than that to build inroads and tell your story effectively. Here are some tips based on tech PR experience. Dollar Shave Club didn’t build a billion-dollar business and sell to Unilever in 2016 without throwing a few bombs. Everyone remembers their viral, bro-y YouTube ad in 2011, for example. It helped the brand build a billion-dollar business by being bold and aggressive, highlighting the pitfalls of the traditional razor industry and punching up at massive CPGs like Unilever and P&G. Gillette, a P&G brand, even sued them in 2015, citing patent infringements. This allowed Dollar Shave Club to be even more aggressive in positioning its brand against CPGs, claiming that the incumbents were out of touch and threatened by change. Previous Crenshaw client Sundial Brands, makers of inclusive personal care and beauty products, is another example. Sundial (marketers of the Shea Moisture and Nubian Heritage lines) identified an underserved market and developed products for it. Equally important, the brand spoke out about CPGs overlooking women of color. They also made the story bigger than the company — broadening out to themes on inclusion, gender, and more, which can be controversial. Rather than compete with Sundial, Unilever went the Dollar Shave Club route and acquired them. If you can’t beat ‘em, buy ‘em. Media are naturally skeptical of commercial claims — and for good reason. They’re always getting pitched by PR people who say they represent the next Facebook or WeWork or Airbnb. More often than not, these claims are wildly embellished or even fabricated. The last thing a journalist wants is to bring a bogus challenger brand story to their editor or readers. So, if they express any interest in hearing more, challenger brands need to anticipate probing questions about scale and growth. That means being prepared to “show the receipts” and peel back the curtain. It will inspire confidence with media and create credibility for the brand. For example, our tech PR team at Crenshaw supported the U.S. launch of WeTransfer, the popular file-sharing service from the Netherlands. As part of our strategy, we went after market leaders like Dropbox and Hightail. In stories we pitched to outlets like Business Insider (“This Dutch startup is designing a plan to beat Dropbox — and it’s already profitable”) and Forbes (“Dutch File-Sharing Startup WeTransfer And Its 80 Million Users Are Coming For The U.S. Market”), for example, we talked up WeTransfer’s start-up persona and its appeal to the “creative class” versus bland competitors, but we made sure to mention its 80 million users and status as a profitable business. We had to if we wanted to be taken seriously. For challenger brands, social media can offer powerful PR and marketing opportunities, particularly when it comes to real-time marketing responses to news events or competitive moves. Smaller brands are usually more nimble and faster to pull the trigger when it comes to social content because they don’t typically have teams of lawyers approving every tweet. Savvy challengers also use social media to capture audience attention in innovative ways, interact with press on a one-to-one basis, and create a distinct voice and brand personality compared to category incumbents. Take Taco Bell. It has built an outspoken and irreverent social media persona across a number of platforms, from Twitter to Snapchat. As a result it’s created a foothold with younger consumers while more dominant QSR players like McDonald’s have failed. Away, the luggage company, is another example. In just four years, it has used social media, particularly visual storytelling on Instagram, to create a globally-recognized travel lifestyle brand. The team clearly realized that the luggage industry had become too commoditized and built an identity that sets the brand apart. Their sales are now surging and longtime market leaders like Samsonite are feeling the pressure. Challenger brands might think that, because they’re challengers, big PR wins are harder to generate. That’s largely true when it comes to most challengers. But there are storytelling opportunities that the incumbents don’t have. All it takes is a creative team, a willingness to take risks, and serious commitment to PR.